The Zum Flaucher beer garden is located in a woodland park area along the southern Isar banks in the Sendling district of central Munich. Surrounded by forest and waterways, hidden away from the noise and traffic of Munich, Zum Flaucher can only be reached by bike or foot. The beer garden and its surroundings is an idyllic location to spend a day in the nature without leaving the city. Flaucher is actually an island in the Isar river. The name originates from the bar-keeper Johann Flaucher, who realised in the 19th century that the former forester's lodge of the Wittelsbacher family might be an ideal restaurant in catering for day-trippers exploring the surrounding forest. Since the 1870's the Isar banks became increasingly popular and soon the Flaucher became one of the most visited beer gardens in Munich. The Isar river close to the beer garden is a nice place to swim and cool down as well as meet friends for a barbecue. A state-owned tree nursery where young trees are grown and thereafter replanted in the city is located behind the beer garden. A grassland just next to the beer garden is suitable for sport activities or just relaxing and sunbathing. Guests wanting to drink their beer whilst laying down can simply take their Maß over. The beer garden has about 1,700 seats in the self-serviced area and 80 seats on the served terrace. Zum Flaucher is only partly shaded by large chestnut trees and lime trees. The remaining area is covered by sun umbrellas. 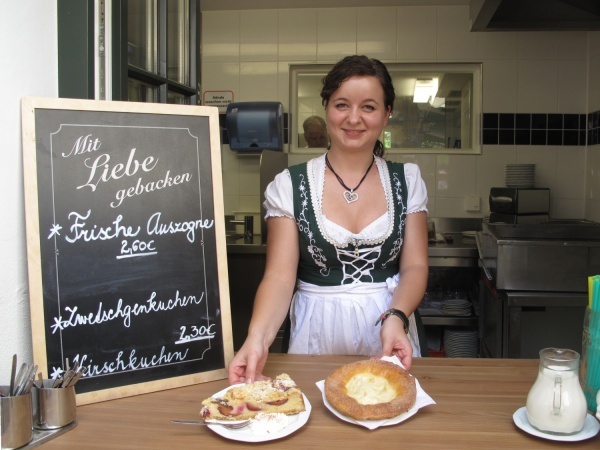 The food stalls offer traditional beer garden specialties, such as Obatzda, Hendl (roasted chicken) and Wurstsalat (sliced sausage salad). Recommended are the delicious spareribs. A cake stall offers daily baked cakes as well as Auszogne which are prepared in front of the customer at the time of the order. The beer served is Löwenbräu and a Maß Hell (lager) costs €7.70 (April 2017). The Weißbier (wheat beer) comes from Franziskaner. During the summer months various events take place in the beer garden and restaurant. Brass bands perform live regularly. Majour football tournaments can be seen on a large screen in the back part of the beer garden. The restaurant of the old hunting domicile can be rented for festivities with up to 45 guests. 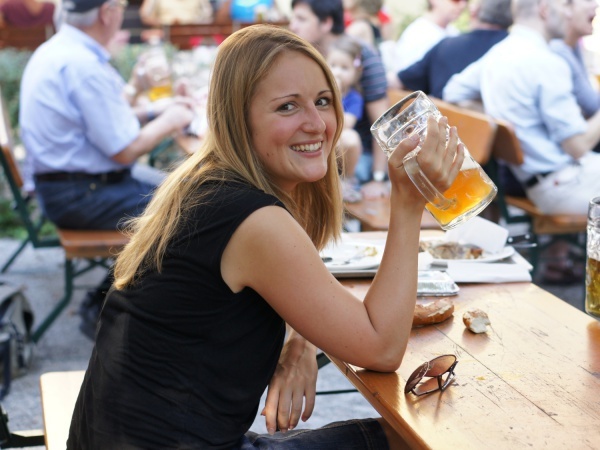 During the beer garden season and depending on the weather, Zum Flaucher is open daily from 10am to 11pm. This page was last modified on 18 May 2018, at 19:22.